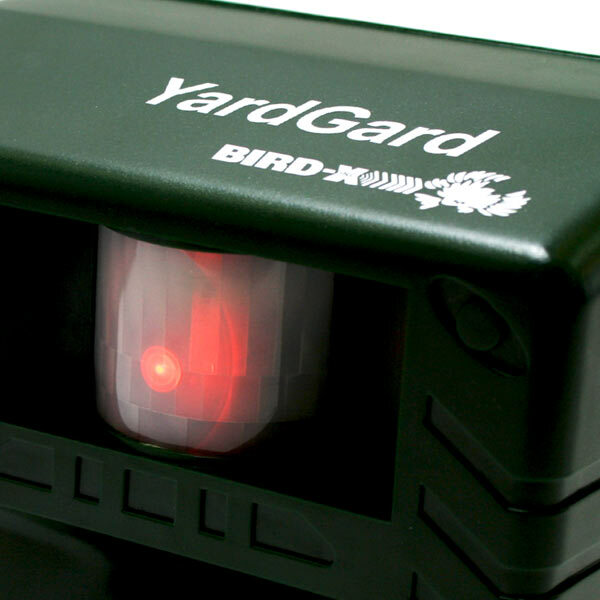 Yard Gard is a humane and highly effective, electronic yard protector that keeps animals away from your property safely and silently, long-term, without messy or expensive chemical solutions. 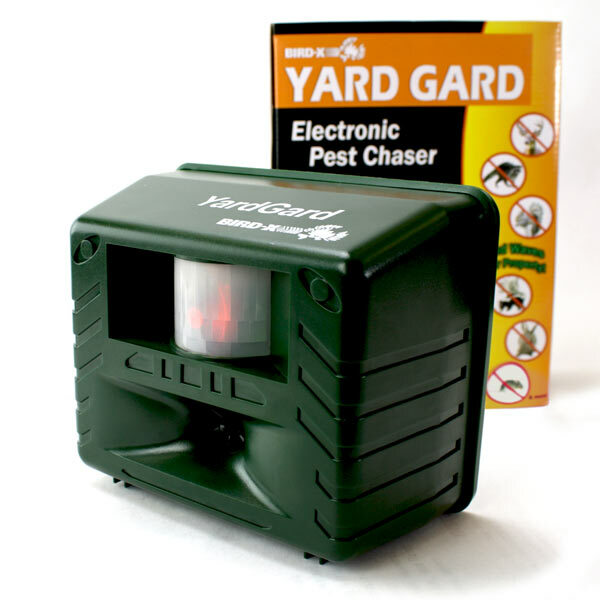 High-frequency ultrasonic soundwaves (silent to most humans) irritate and annoy common yard pests, causing them to look for calmer surroundings. 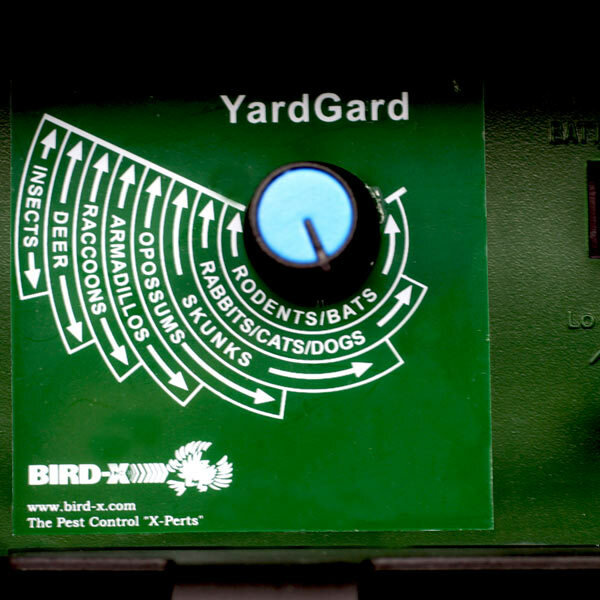 Eliminate filthy, disease-laden animal droppings and costly repairs, and keep your place of business or your home safe and sanitary. Ultrasonic. Operates at frequencies that are nearly silent to humans. Installs Easily. Mount it nearly anywhere with the keyhole slot. Continuous or Motion Activated Operation. Weatherproof and waterproof. 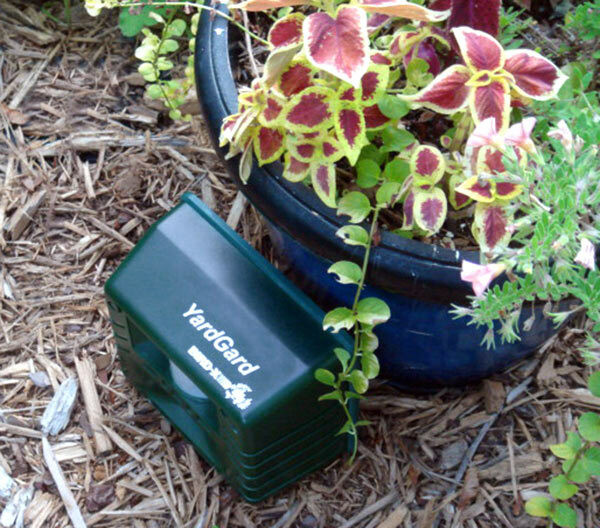 Case can withstand years of outdoor use. Discreet and low profile design blends with any outdoor decor. 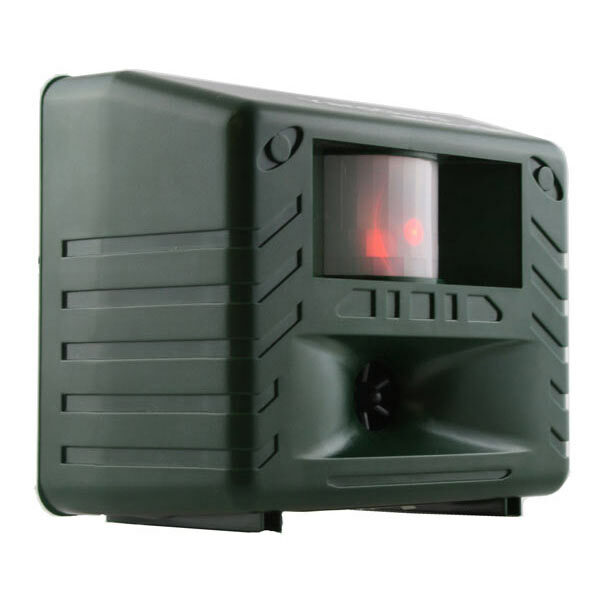 Infrared Motion-Sensor: Activates when critters move into its coverage zone. Dual Power Modes. AC or 4 "C" Batteries. Box Dimensions (Ships from Chicago) 10" x 8" x 4" / Shipping weight: 3 lbs. Coverage Up to 4,000 sq. ft.